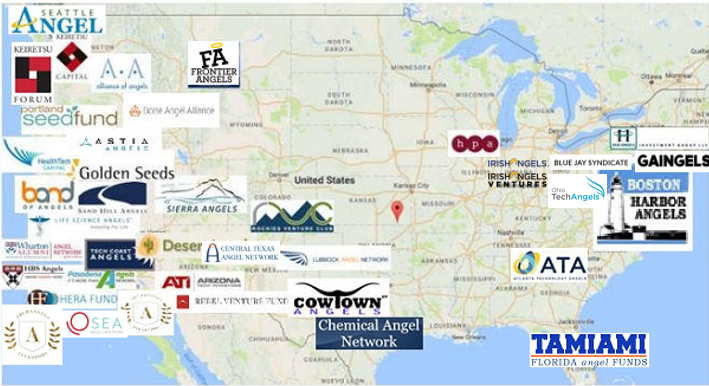 The angel syndication network (ASN) is comprised of prominent angel group leaders who actively engage in collaborating for deal syndication. The angel group leaders are: presidents or syndication chairs. The ultimate strategy is to request each angel group to nominate their best deals to share with other angel groups for syndication. The purpose would be to fill a round, expedite a closing, and save the CEO from extended road shows. The screening sessions are open and viewed by accredited investors from these respective groups. Richard Sudek, Tech Coast Angels’ Syndication Chair originated the effort and currently twenty-one groups make up the ASN.